Welcome back everyone. Last Saturday, my sister and brother-in-law asked my family and I to come over and cook out in the afternoon. We’ve had so much rain lately and haven’t gotten to do much outdoor fun. My brother-in-law informed me a few days prior that he had bought the “stuff for smores”. We were in the middle of traveling our 12 minute drive to their house when I started getting an ALL TO FAMILIAR ache in my lower back. I nonchalantly told my husband, “I think I’m getting a kidney stone.” If you’ve ever had a stone, it’s a pain that you never forget–even if it starts off mild. You see, I’m one of “THOSE PEOPLE” that just make kidney stones. Calcium Oxalate Stones is the Scientific term for the type I have. I’ve had 4 lithotripsy procedures performed to crush and expel the stones. I’ve passed only 1 large and 1 small stone in the past. I have been on a ROLL the past couple years only having one very mild stone. I had started to think that the curse had stopped.. We were just getting started eating our hamburgers and hot dogs and the kids were playing in the yard. The extremely dull ache got just a tad worse. 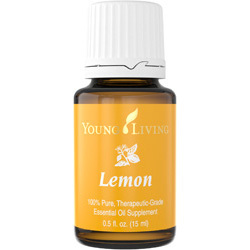 I started drinking some bottles of water with my lemon essential oil to help flush the stone out IF it were a stone. I got three down. I told my sister to watch the baby for a couple minutes while I went inside. I laid down on the couch still hoping it was just a gas pain (denial had set in). It seemed to ease up a tad so I rolled to my side to get more comfortable. Then…I had to throw up… I thought…It’s the real deal UGH. I lost much of my fluids which killed me cause I KNOW that’s the only way to pass it. The moaning and groaning and rolling had taken over so I yelled for my daughter to get Jonathan. The whole family had joined in at this point offering to take me to the ER, giving nausea meds and pain meds. Jonathan and I have just finished paying off all the hospitals for Jonathan’s broken leg, I’m NOT going back unless its close to death–(exaggeration). I HATE and DESPISE pain medication..I just don’t like to take it! I turned it down, against my husband and family’s wishes. I told Jonathan to GET THE OILS! Now, I’m not playing guinea pig on myself (that’s what my mother called it). 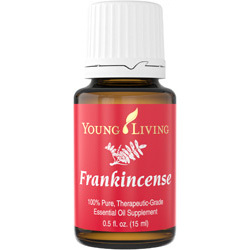 But, I’ve NOT head a stone since I’ve started using Young Living essential oils. I’ve read where there are oils to help ease your mind, and help you to cope during bad situations. Jonathan got over me and he can correct me if I’m wrong on the oils he used but.. he used panaway, peppermint, and frankincense essential oils on my side. He slowly and delicately applied them in a downward motion OVER AND OVER AND OVER. After about 15 minutes the pain had subsided SOME. I gently rolled to my back and he applied it where the stone had went down more towards my bladder. He used the same downward motions and the same oils as he had done on the back side. After about 10 minutes on this side it dropped into my bladder! I literally felt the drop! The pain was gone– I passed the stone with my next strong urine output. I don’t know the approximate size, but it was NO speck!!! Jonathan told me that he prayed over me and the essential oils. He prayed for God to let me pass it and to allow the tools that he has given us to help aid in my pain relief and passing of the stone. You see, we don’t give glory to essential oils. But, to the creator. God blessed us with such precious gifts to use for our healing. I am forever grateful! 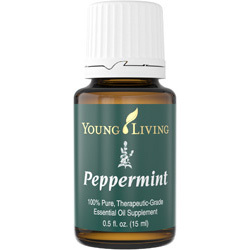 These are the oils that I used: To purchase these oils for yourself, click the “become a member button”. This will give full instructions on how to order these products. You can contact me via email with more questions. Reblogged this on God's Natural Gifts. Yikes! I get stones too so this is great to know! Thank you for sharing!! You’re welcome! Hope you don’t have to use it, but if you do I hope it works as well as it did for me!! !